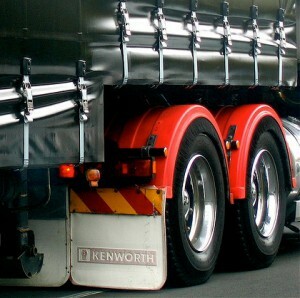 Economic recovery is being signalled by a strong demand for trucks, Motiva Group have insisted. The vehicle solutions business claim contract hire for HGVs has almost doubled in 2013, reflecting similarly encouraging figures reported nationwide. Peter Davenport, Managing Director of Motiva, believes the trend paints an encouraging picture for the UK as a whole. “The number of truck contract hire deals we did this year was massively up on the previous 12months,” he said. “Our M-Way truck solutions arm completed a total of 48 contracts for HGVs in 2012 and we’ve already taken more than 80 in 2013. “We expect to take between 95 and 98 orders by the end of the year. “There has been a definite turnaround within a 12month period with companies now showing much greater demand for new trucks on their fleet. Mr Davenport added that it is understandable that companies were reluctant to invest in new vehicles during a period of economic uncertainty. “A lot of people weren’t sure which way the market would go and, because of that, they were extending old hire contracts and continuing to run the same trucks,” he said. “Now things are beginning to pick up and it seems most people can see some light at the end of the tunnel. Image courtesy of macinate, with thanks.